More often than not a diabetes diagnosis is experienced as devastating; not just to the patient but to their loved ones as well. Even though the condition is manageable, and it is possible to live a life full of well-being, a diabetes diagnosis comes as a shock and ushers in all sorts of changes. 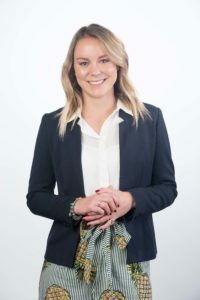 Association for Dietetics in South Africa (ADSA) spokesperson and registered dietitian, Jessica Oosthuizen describes it as a ‘rollercoaster ride of a diagnosis’, full of stress and anxiety for the whole family – and she should know, she was diagnosed herself with Type 1 diabetes when she was thirteen years of age. Young or old, Type 1 or Type 2, what diabetes does bring about are lifestyle changes. As Jessica points out: “With Type 1 Diabetes once you’ve had the diagnosis, there is never a holiday or break from it.” While the treatment regimens do differ between Type 1 and Type 2 Diabetes, both kinds of diabetes demand discipline, constant thinking, planning and control. The patient and the family need to understand a number of things including how the medication works; how many carbohydrates they can consume, and how often. For some, these lifestyle changes can be completely overwhelming. In addition, having a chronic illness like diabetes is expensive and the family may well suffer from financial stresses, which brings a different dimension to the anxiety experienced. Ideally, a team approach can deliver vital support to the family. Over time, diabetes patients may need access to various diabetes experts including an endocrinologist, a diabetes educator, a psychologist, a dietitian, a biokineticist, a podiatrist and an opthalmologist. As the family moves from shock to acceptance, regular touching base with the different members of their team helps them to gain an holistic view of diabetes care. “If it is possible, regular follow ups with your doctor or diabetic educator are essential to fix any problems that the patient or family are facing in a timeous manner instead of trying to fix a problem months or years down the line. There are also diabetic support groups such as Diabetes South Africa and Youth with Diabetes, and social media platforms that patients and family members can join,” Jessica advises. Jessica advises those who are newly diagnosed to keep a diary recording blood glucose readings, the amount of insulin used and the timing of insulin doses, as well as all food intake and exercise. While it is time-consuming, this journaling doesn’t have to be done forever and it does help to provide a clear and accurate picture, as well as insights into what is working well for you, and what isn’t. This is important because every diabetic’s experience is completely individual. There are also mobile apps available such as FatSecret, Carbs & Cals, mySugr and MyFitnessPal. Strategies such as these empower the person with diabetes to set targets and chart their progress towards managing their condition in the most optimal way. 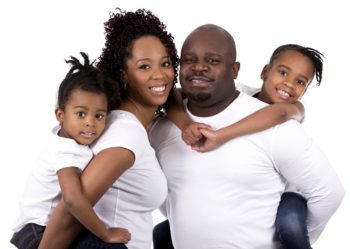 Family support for gaining control over the treatment is vital for the person with diabetes, and helps them to get on the road to wellness and enjoy their life to the full. For those who are newly diagnosed or who have family members that have recently been diagnosed with diabetes, you can get support from a registered dietitian in your area by visiting www.adsa.org.za.